This entry was posted in AL-QAEDA IN THE ISLAMIC MAGHREB(AQIM), ANSAR DINE, ARMED CONFLICT, BOKO HARAM ISLAMIC STATE MOVEMENT, COUNTERINSURGENCY OPERATIONS, GLOBAL DEFENCE NEWS, JOINT SECURITY TASK FORCE, JOINT(MILITARY)TASK FORCE IN THE NIGER DELTA, MALI, MILITARY PHOTOS, MOVEMENT FOR ONENESS AND JUSTICE IN WEST AFRICA, NIGERIAN ARMED FORCES, NIGERIAN ARMY, NIGERIAN MILITARY HISTORY, NIGERIAN SPECIAL FORCES, SECURITY ISSUES AND CONCERNS, SPECIAL TASK FORCE, TERRORISM, U.S. AFRICA COMMAND, WEST AFRICAN STANDBY FORCE and tagged AFISMA, ANSAR DINE, AQIM, AZAWAD, COUNTERINSURGENCY OPERATIONS, DEFENCE AND SECURITY, ECOWAS STANDBY FORCE, GEOPOLITICS AND STRATEGIC STUDIES, MALIAN ARMED FORCES, NIGER ARMED FORCES, NIGERIAN ARMED FORCES, TERRORISM, URBAN GUERRILLA WARFARE. Bookmark the permalink. The goggles indicate they have been travelling either in OPEN TRUCKS or Apcs for quite a while thank for clearing some parts of the mystery . We know now Nigerian Troops have been deployed and like I have always believed STARTING FROM THE PRESIDENT OF France’s speech Nigerian special forces are indeed in MALI. I said that before “SF on ground,men deniable, just before we started deploying. And I concurred, saying that I had that on good authority via back channel communication :-). That is credibility. Nice one, Henro. ‘Tis up to us to tell our story. HEY OGA BEEGEAGLE WHAT ABOUT ME? YOU KNOW GO THROW ME SALUTE I DEY JEALOUS OF OGA TIM L.O.L. 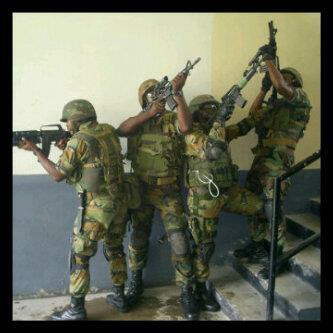 Hehehe ok oga Jimmy make i throw way salute then. To you and others that view this NA glass, as half full. The pic of this spec op activity is evidence of a responsible/ competent NA presence on the ground. Perhaps, before even the french arrived. So, SF troops usually train local forces. They also mentor, advice and act as force multipliers by increasing the efficacy of the local forces. 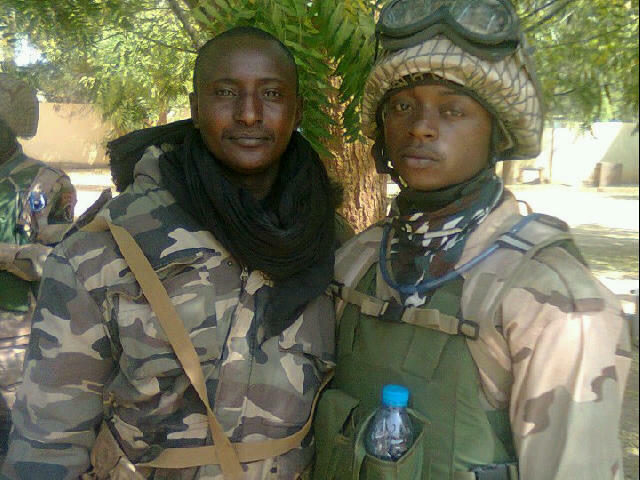 It is possible that lost in the headlines of the french and malian army assault tandem, are nigerian SF’s perhaps of company or higher strength. We last saw something similar with NA SF troops acting as force multipliers with pro outtara forces in ivory coast. Remember, they started as an NCO led rebel force, with most of the officers and commanders remaining in abidjan on Gbagbo’s side. A combination of direct french military aid and subsequent serbian mercenary help gave the advantage to the pro Gbagbo national army. However, by the time Outtara’ forces closed on the ivorian army under french assault in the capital, they had morphed from a lightly armed NCO led force, to a fairly well kitted, hilux driving assault force. Hmmm, did president Outtara’s visit to president GEJ trigger this cooperation ? Was there any truth to NAF C-130’s and SF’s pouring into pro outtara bases in the north. The green hilux trucks that appeared on the scene as pro outtara forces converged on abidjan, looked awfully similar to the ubiquitous hilux trucks operated by NA JTF forces thru out nigeria. Hmmm, I am I connecting the dots, or am I just delusional. 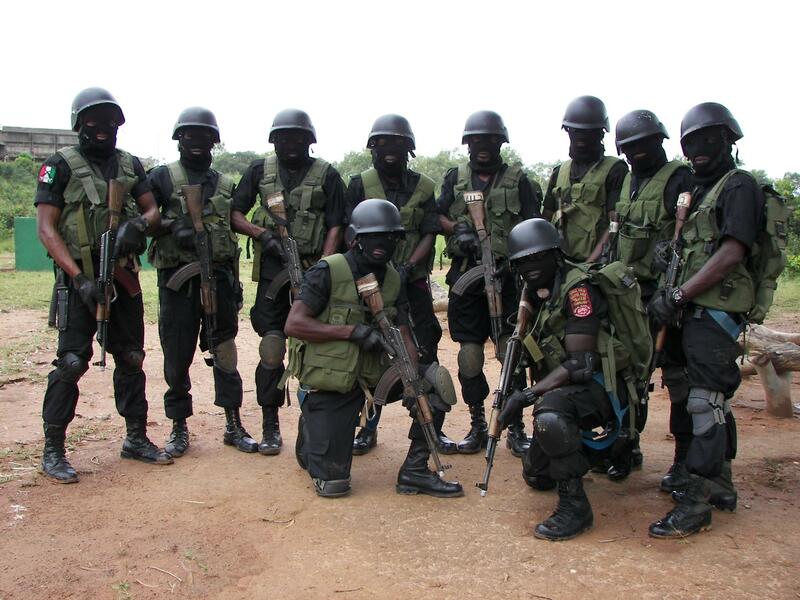 I’m surprised that the NA SF chaps aren’t wearing ski masks when posing for the photos as they do back in Nigeria. 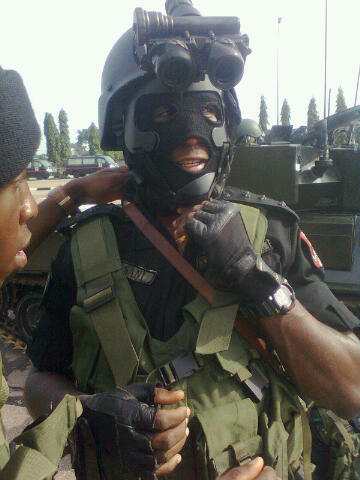 The Nigerian army high command has really come of age. no more pure conventional-only doctrine. or, like “people’s army”, guerrilla warfare bias (ala SF tactics). as a professional fighting force, they have been able to combine the best of both. it shows the level of sophistication and the experience of the officer corp in past expeditionary duties have had great input in today’s armed forces. of course, more needs to be done; Terms and Condition of service, personnel welfare, and an armament industry that can fulfill the basic needs of the armed forces (and also compete in the civilian commodity market). 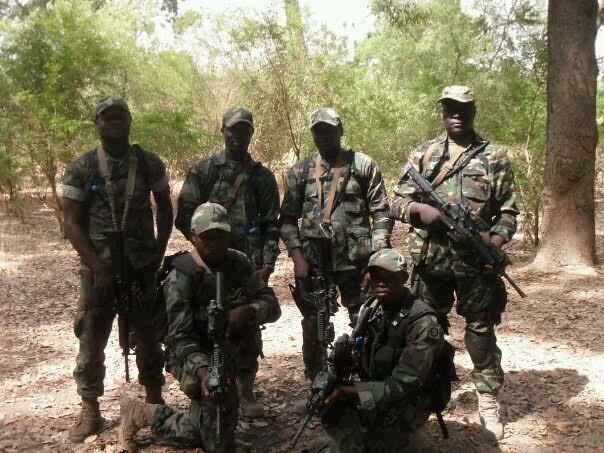 Kudos to the NA special forces. however, the navy seems to be getting all the sweeter part of SF. That is correct, Freeegulf. We have been modifying our training curriculum to suit our geography and emerging challenges. – with the upswing in terror attacks, the NDA now hold a mandatory 4-month CTCOIN training module for Fifth Year cadets at Jaji – CQB, IED identification, FIBUA,tracking, ambush defeat etc in tandem with the conventional warfare training. 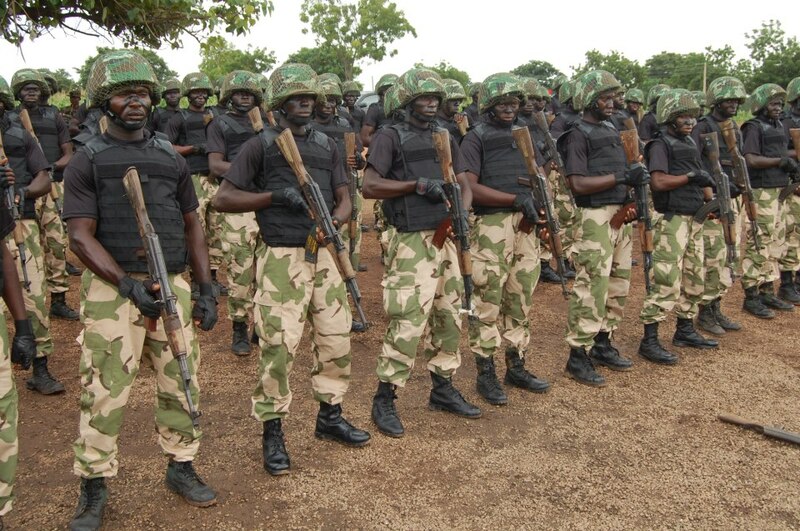 – After their six months of training at the Depot NA, fresh foot soldiers also get deployed to the Nigerian Army Training Centre for a 2-month crash course on CTCOIN. We are striking a balance between conventional and asymmetric warfare and gaining combat experience as well. Meanwhile, ever before NATRAC formally began the CTCOIN course for fresh rank-and-file soldiers, thousands of fresh and seasoned troops alike have been receiving proficiency training in CTCOIN operations. 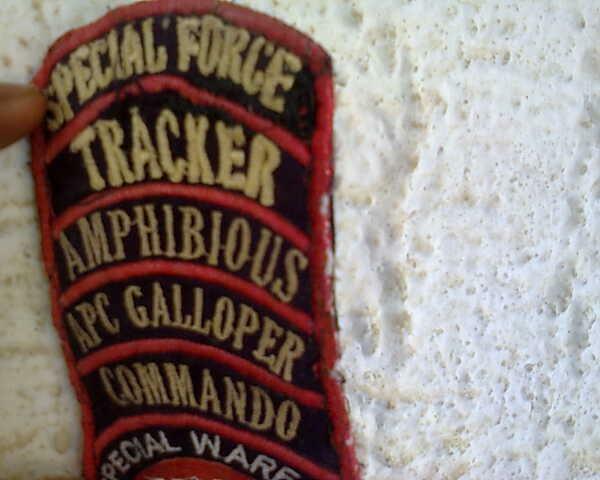 Forgive my lack of substantive in depth understanding of the term special forces ,but there is nothing special about this picture of what seems to be a regular trooper. Weaponry isn’t special AK47 with no optical sight, very ordinary if not outright basic. Knowing the antecedents of our armed forces, I don’t think they would be posing for public photographs, very much like the SAS, Delta Force, KSK , Shayetet 13, etc. They are rarely seen but mostly heard of, as a result, I doubt the validity of this photograph or what it purports to represent. No offence intended. But I really don’t want to believe that our special forces are using AK47’s this is not a precision weapon, and precision accuracy is one of the definitive components of all special forces. How much does a HK416/7 or FN SCAR 16/17 cost unit price, I don’t think more than £400 we should be producing these rifles under licence and not the 50 yr old AK47. People, if a SF guy is dressed up for everyday duty rather than for “special operations”, nothing stops him from dressing up this way. It is one thing to state the ‘ideal’ and another thing to dismiss stuff we do not know the source of. – there are photos of the 178 SF Bn posted here. They all bore AK47s and did not dress up like masquerades either. They were even less dressed up than this chap who you see here in Mali. – search “Erelu Olusola Obada” for a photo where she is firing a weapon beside SF chaps. They were not dressed up in spacesuits. – finally, NOTE that we did not use Google to search for these photos. 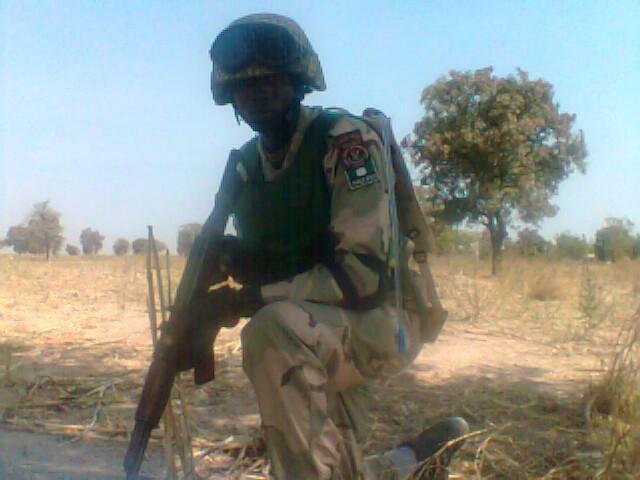 Some of us know people who left here as SF chaps and their units have not changed between Kaduna and Mali. As you can see, these are amateur photos which were shot using phone cameras and they are coming through from the front. You can check Google to see if they were hacked from there. Please let us accept that for confidentiality’s sake, we cannot always reveal what ‘our supply lines’ are. The fact remains that wholly dressed down SF battalions or AK47-wielding SF chaps of the NA have never and do not nearly amount to oddity. Much respect for your comments kenee2k . i am not going to address the comments concerning the way the special forces are dressed I am going straight to my pet peeve. The AK-47 has been rated as one of the top ten semi AUTOMATIC RIFLES OF ALL TIME .It is mandatory for you to know how to use one if you are in the us special forces, israeli special forces, russian, , british and NIGERIAN. 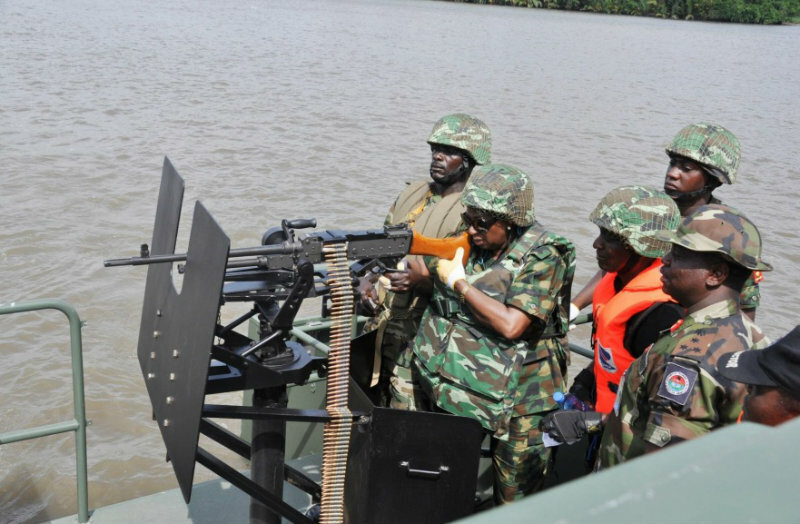 I don’t for the life of me understand sometimes why some of my fellow cyber general get so upset seeing Nigerian soldiers carrying ak -47 . this is one of the best rifles of all time we want them equipped with the best equipment and when they are we still complain……. The guy is in MALI …….. HELLO sand ! sand !! sand!! !so what happens when the sand gets in the tavor as opposed to the AK -47 Please guys let us understand the context in which the weapons are being used. At other times, perhaps MOST TIMES, they dress down. The chap in Mali is more elaborately dressed up than these. Did we check out his stripes? I did admit to having limited knowledge, on this occasion your information is concise and not in dispute. My initial observations were limited and as such I do not have doubts about the validity of this picture, I am regretfully wrong. Even in the Royal marines there was need to be familiar with this most common of combat rifles, so you are quite correct. However, the AK47 as a precision weapon its very limited and not easily customised, I still do not want to believe its standard issue for our special forces using the term in the broadest sense. @Kenee2k, like OGA jimmy and OGA BEEG before me have given detailed responses. I get where your are coming from. You would like to see SF personnel well kitted up,looking like a real life robocop. Not bad at all, however the navy provides you with very well kitted soldier, the army are not as flashy as the navy. Like OGA BEEG stated, do make use of the search bar on this blog. 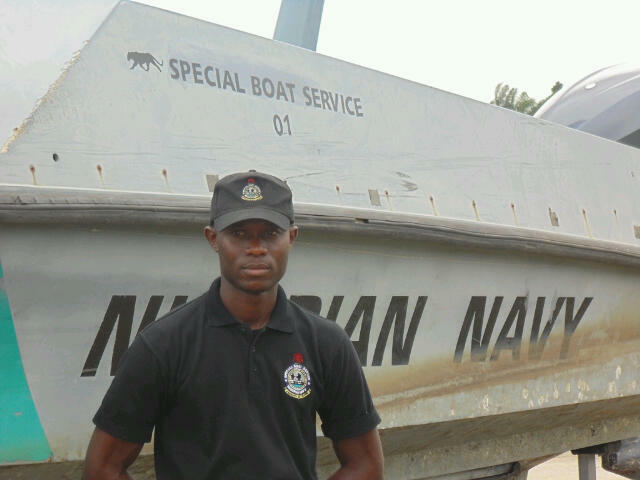 There are well over 50 pictures of properly kitted navy personnel. The AK47/ AKM is the standard issue rifle of the army including special forces rifle. It has been consistently rated amongst the world’s best assault rifles, even when compared to the M-4 or the always failing bushmaster rifle. The french FAMAS is also a no no, that weapon always jams. The AK 47 provides you a weapon that has a simply design and an incredible stopping power. very very easy to maintain unlike all these newer rifles. The picture quality is not clear, so we cannot say for sure he does not have the basics to carry out his mission. French special forces personnel were filmed in mali without any sort of facail cover many times. Concealing your identity is crucial as an SF operative, however a known identity should not prevent your from successfully carrying out your mission. There is only one SF operative pictured above, the guy in the last photo. The other guy up top is a regular troop member. I see the sbs almost everyday, what they usually wear, when not going for operations is basically sbs tshirts and camo trousers with boots, or sbs camo bush jacket and camo trousers……. No need for fancy webbings, when it is a normal work day, and not a shooting mission, I for one would feel more comfy in a tshirt. 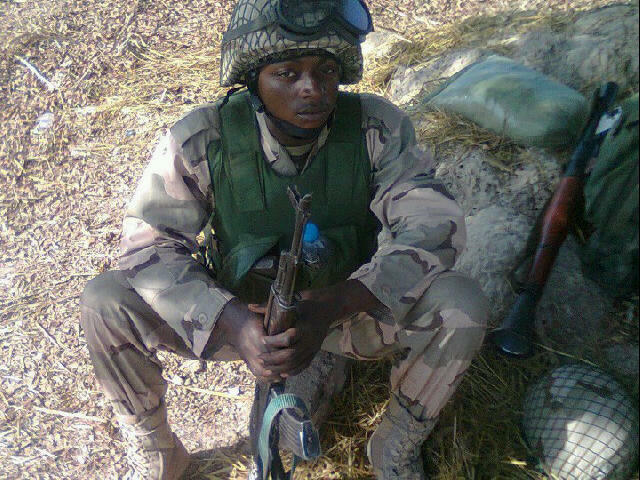 Mind you, am not saying I am one…..
Yeah Kenee2k, I really hoped you would deal with the merits of your weapons for SF rather than attack the authenticity of a photo which we had to dig so deep for. That said, I have said this before and I say it again. A good SF operator, to my mind, has to be a consummate predator who is able to feed off the stocks and supplies of the adversary. In that theatre, whether it be an unearthed cache beside an oasis or while rummaging through the dregs of a half-burnt 4WD, what you shall find anywhere is the AK47. In that strange land, it has to be a plus for one to be able to sustain his war effort using the banana clips of the enemy and even, to put an enemy out of action and forge ahead using his own weapon. That is my humble opinion…without prejudice to fanciful weaponry. Bear in mind also that even if this chap has to conceal his weapon in the marshes around the inland delta of the Niger River or inside a plunge pool in the hills of the Adrar des Ifoghas, if he needs to use it after five days of immersion in brine or brackish, chances are that the AK47 would almost certainly spill its content of ammo as surely as the sky is blue. NO WEAPON comes close in terms of reliability when your very life depends on it. Just another side to the story without obsessing over anybody’s weapons. Like I said, some of us encounter these institutions differently – not just on the pages of newspapers and we say certain things with a view to sharing our experience..not to speculate. 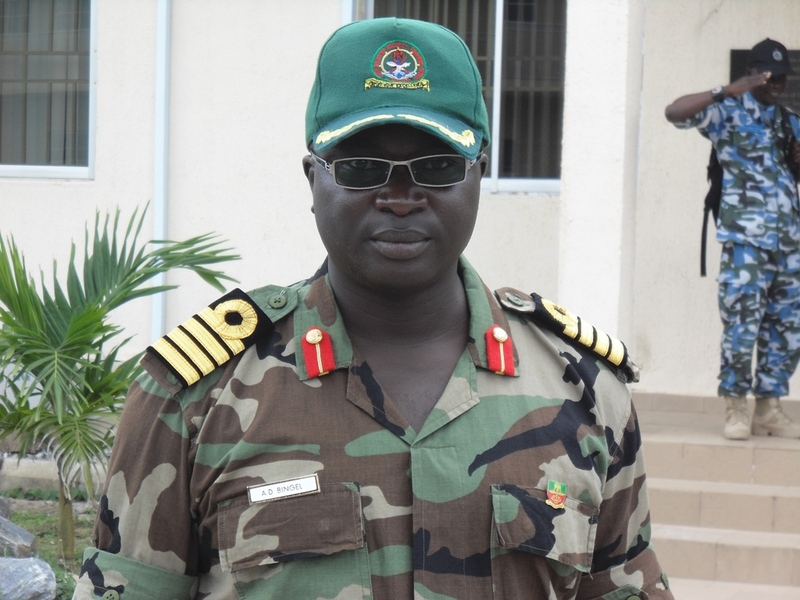 Here is a very senior officer of the SBS who right now is the Commandant, JMSTC. I shot both photos by myself, so I presumably know what I am talking about. The generalist notions do not necessarily dovetail into the particular Nigerian story. We are no web-bound fiction writers and invariably get to ground to see and experience..however unlikely they may appear to be to those who do not not how far we tend to go or how exhaustive our efforts tend to be. That said, welcome to the blog!! That’s an excerpt from my last post on this matter, once again I’m not proud or conceited to admit that I am wrong, and no longer have doubts about the authenticity of this picture. Hopefully the matter has now ended or rather matter don end, No Shakin. Thanks for welcoming me to the blog and without doubt you have clear and undisputed insider first hand information. I will admit to a handicap my early years were spent somewhat in a British military establishment and then my later teen years aligned to a Nigerian military establishment finally my tertiary education was linked in to a British military establishment, again not giving anything away. In addition that handicap is further exasperated by not living in Nigeria, so bear with me if my perceptions are British tainted, I am still proudly Nigerian. Not to worry, Kenee2K. You are most welcome. Be sure that we go to EXTREME lengths which we might not necessarily state on the blog for security reasons. But we thrive on precision and try to do very, very thorough stuff all the time. One can only change attitudes and influence outcomes from a standpoint of absolute credibility. You begin to wonder how much we try IF a Nigerian Army Facebook Page is tuned to Beegeagle’s Blog for content. That is the proof of vouchsafed output.